2017’s Sonic Mania proved to be a return to form for the blue blur, becoming one of his best outings in recent memory. Combining clever level design with precise controls and stellar music created a well-rounded and exciting experience on the Switch. 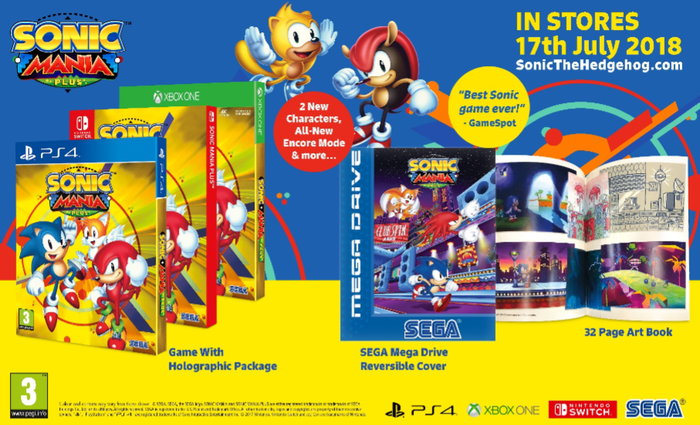 Sonic Mania Plus, an expansion on the pre-existing game offers additions that are here to provide even more content and enjoyment. The first and most obvious addition is that of the two new characters, Mighty the Armadillo and Ray the Flying Squirrel. Both of them control similarly to Sonic, but much like Tails and Knuckles, they both have unique features that set them apart from the rest. Mighty has an attack that sends him barrelling downwards, breaking through certain enemy defenses as well as certain parts of terrain. His shell also renders him invulnerable to spikes and some enemies and bosses whilst in ball form. Meanwhile, Ray has a gliding ability akin to the cape from Super Mario World, allowing him to traverse great distances of the level. However, if you come into contact with a wall, the glide immediately comes to a stop. This means that enclosed levels render this ability virtually worthless, creating a situation where only a handful of open levels allow you to fully utilise this ability. The meat of this DLC lies in the new Encore mode. 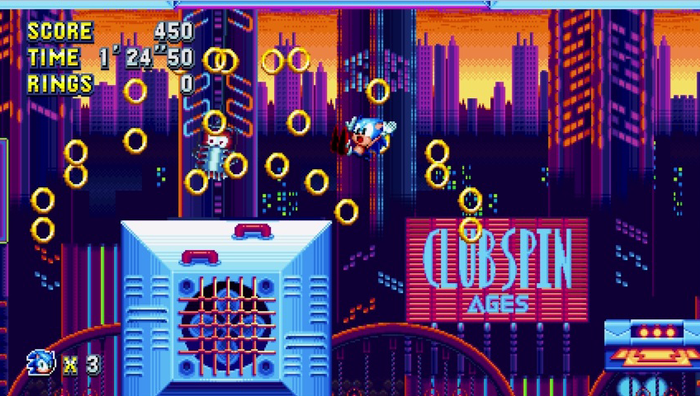 This mode introduces the player to Mighty and Ray and provides additional content for the player to work through. Whilst lacking in fresh original content, (only providing one brand new zone and a complete overhaul of another), Encore mode still manages to be refreshing. 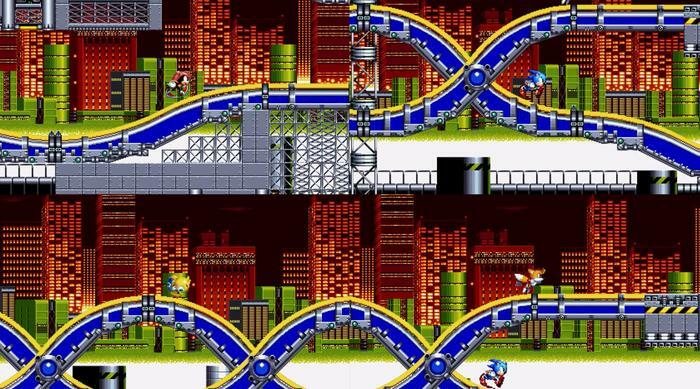 Instead of dishing up completely new concepts, it takes the pre-existing levels and changes their colour palette and remixes their level design. The remixed levels never felt boringly familiar, but never felt overwhelmingly new either. The design is similar enough to let your previous knowledge of the stage guide you, but is distinct enough from the old one to still throw different surprises and twists at you. The gameplay of Encore mode has also undergone a ‘remix’ or sorts. Gone is the life counter, instead replaced with a team consisting of every playable character. Though you initially start off with just Sonic; by hitting the one-up monitors you’re able to add one random character to your team. From there, you’re able to switch between the two active members of your team at will, allowing you to mix and match characters and abilities as you travel through the stage. But the make-up of these two characters is entirely up to chance, as the only way to change the active members is being decided by randomised item boxes. This can get frustrating if you want a particular character, however specific abilities or character traits are never required to progress through the game, so it’s never a major issue. This team mechanic also replaces lives, meaning that each time you die, you lose the character you were playing as, forcing you to find another one-up monitor to revive them. If you lose all 5 characters you are faced with a game over, from there you can choose to leave the mode or use one of your 3 continues to restart the level. Encore mode also adds a new bonus stage in the form of a pinball machine mixed with a claw game. Unlike the blue sphere bonus stages however, these offer more than just a coin. After working your way to the top of the machine you use a grabbing claw to collect an item to help you in the level, whether that be a shield or some rings. 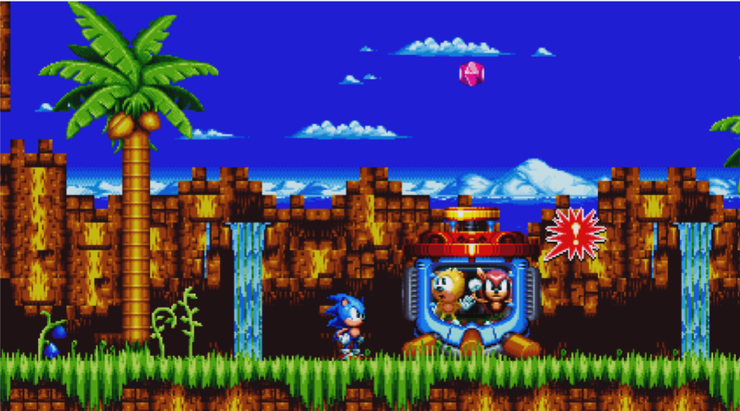 The special stages have also received an overhaul and are packed with new, more challenging levels to face as you try to collect the chaos emeralds. Whilst this expansion isn’t bursting with new content, what it sums up to is a nice add-on to an already incredible game, and with the DLC only costing $5 digitally, picking it up is an obvious choice. A physical edition featuring an art book and the complete package is also available for those who haven’t picked up the game before, or for fans of the series.